If you purchase on or before 5:00 PM CST on August 1, 2019, your passes and any applicable badges and wristbands will be mailed directly to the shipping address provided. All passes purchased after the August 1, 2019 deadline will not be shipped. If you purchase your passes after August 1, 2019, a purchase confirmation will be emailed to you, please bring it to the event. Fulfillment of mailed orders will begin starting in mid August 2019. Once your product has shipped a tracking number will be attached to your account using the email address you used for your purchase. Fan Fest returns to Nashville! 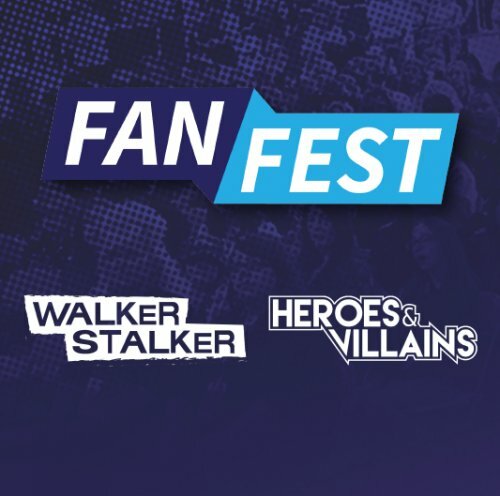 Both Walker Stalker Con and Heroes & Villains Fan Fest return to Nashville, with your favorite stars from your favorite sows. It's not just Fandom, it's Family. Don't just meet your favorite heroes, become one! A three-day event, filled with celebrities, artists, vendors, exclusive panels, cosplay, and activities for the whole family! If you purchase on or before 5:00 PM CST on August 1, 2019, your passes and any applicable badges and wristbands will be mailed directly to the shipping address provided. All passes purchased after the August 1, 2019 deadline will not be shipped. If you purchase your passes after August 1, 2019, a purchase confirmation will be emailed to you, please bring it to the event. Fulfillment of mailed orders will begin starting in mid-August. Once your product has shipped a tracking number will be attached to your account using the email address you used for your purchase.